This was a custom re-spray for a customer. 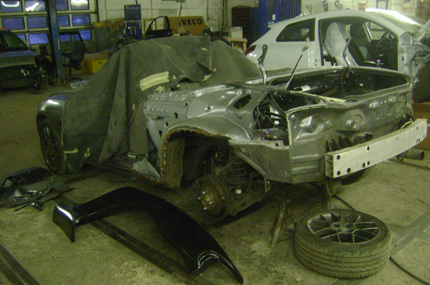 We fully stripped all parts, panels and fittings from the car. 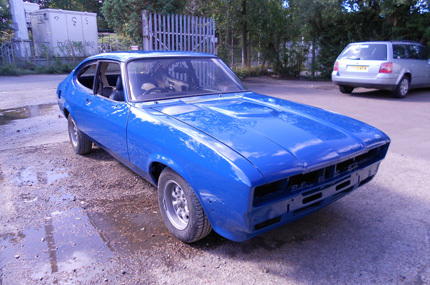 The shell and panels of the car were then fully prepared for painting. 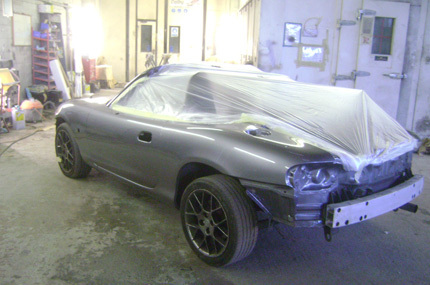 This involved treatment of any rust or corrosion, repair of any dents or irregularities in the metalwork before moving on to priming the car for paint. 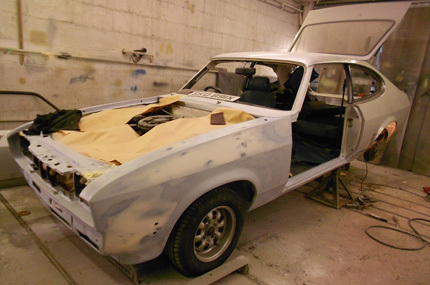 After priming the car, the exact paint colour was mixed by our expert spray painter and the main shell of the car painted, followed by each panel being sprayed separately to ensure the best quality finish. 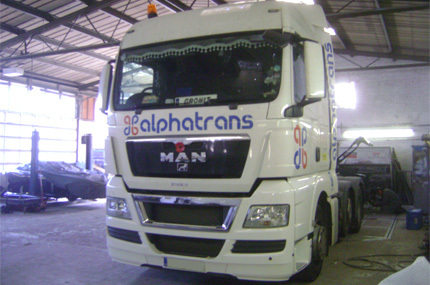 All paint is ‘baked’ onto the car at a specific temperature to ensure the best quality finish. After this process was completed, the whole shell and all panels were then polished with high quality, professional grade polish to guarantee the perfect finish. 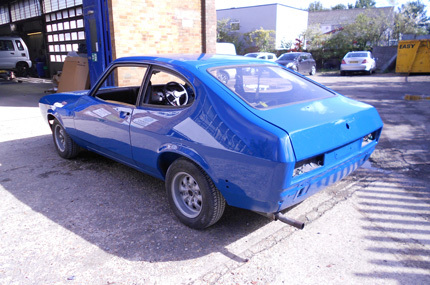 Finally, the panels and fittings were all replaced onto the main shell of the car. This car was an accident damaged car from one of the insurance companies that we work for. 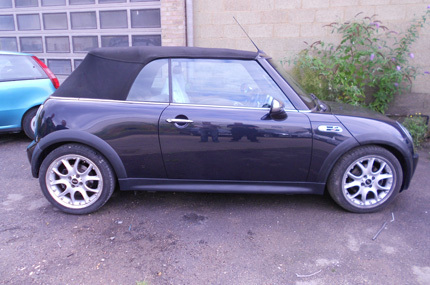 This car had suffered driver’s side damage and we carried out a full and comprehensive estimate on the car for the insurance company to assess the level of damage and the cost of the repair. 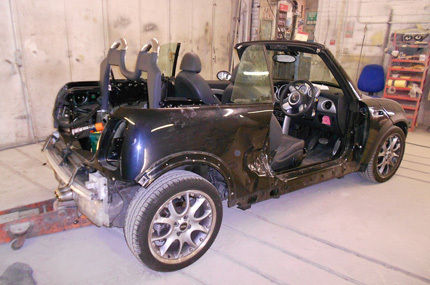 Our comprehensive estimate involved taking photographs of the vehicle, detailing each damaged or missing part from large panels to individual nuts and bolts and removal of parts of the car to check for underlying damage that may not have be seen otherwise. 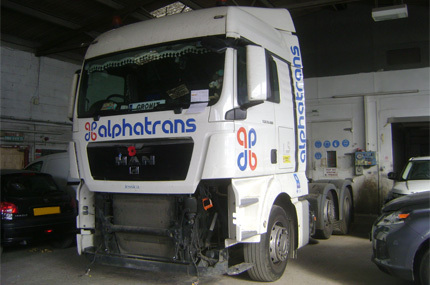 Once given authorisation to repair the car by the insurance company, we began to order replacement parts for the car and remove all accident damaged parts from the car that were not already removed during the estimate process. 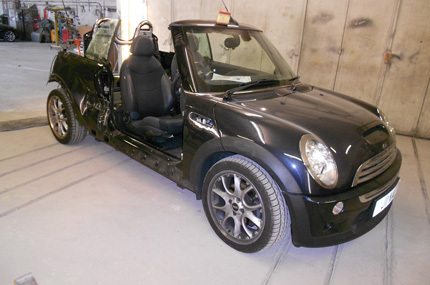 For this particular car, all the main panels on the damaged side of the car were replaced with brand new main-dealer parts from BMW Mini. 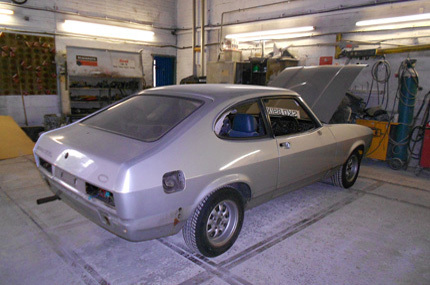 All of the parts were primed and painted in our spray booth after the paint colour was matched to the original colour of the car by our expert spray painter. 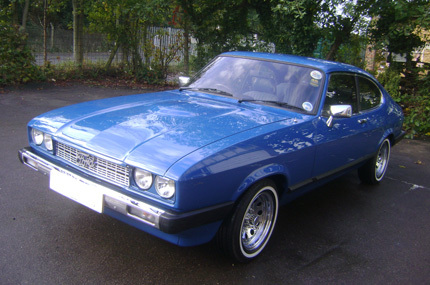 The parts were then re-fitted to the car. 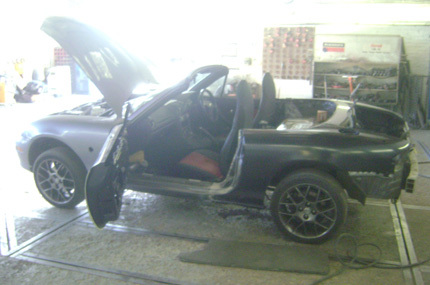 The car was checked for the quality of repair, full wheel alignment was undertaken and the car was test driven before releasing it back to the customer. 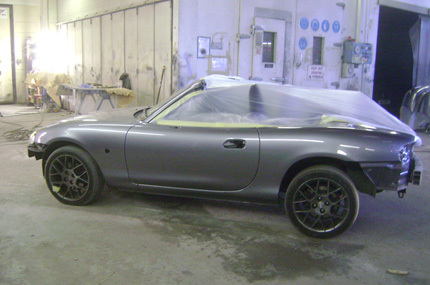 A Mazda MX-5 we repaired.